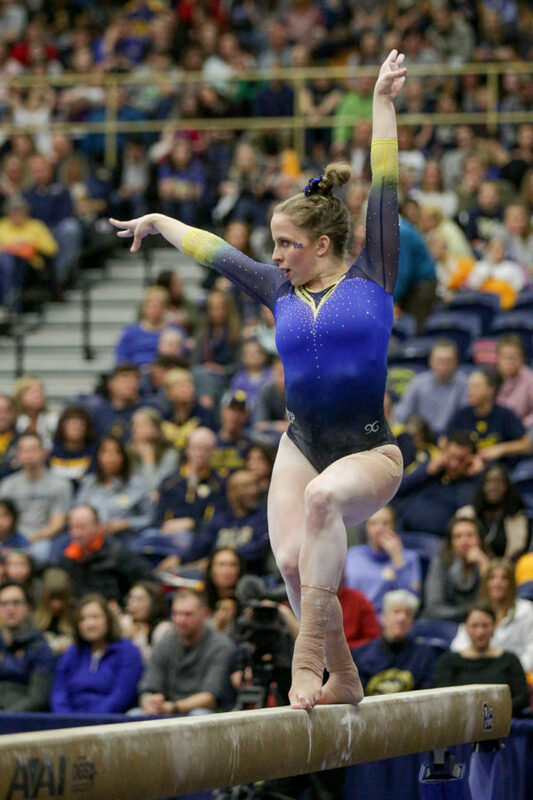 Senior gymnast Brittany West earned a 9.750 on beam at the National Collegiate Gymnastics Championship on Friday. Despite the hype for Pitt Athletics to reveal the new team uniforms in “retro” colors Sunday, the Panthers didn’t have a great weekend performance-wise. Both the baseball and tennis teams recorded losses, and the softball team earned only one victory in three tries. The gymnastics team completed its season at the NCAA Regional Championships while the track and field team notched some top finishes, but nothing groundbreaking for the Panthers. The track and field team traveled to Charlottesville, Virginia, on Saturday to compete in the Virginia Four-Team Challenge against Virginia, Maryland and West Virginia. The Panthers secured six first-place finishes and 15 within medal range. Pitt had a great sprinting day, as sophomore Lonzell Feagin narrowly took the top spot in the 100-meter dash with an 11.03-second finish, and the women’s 4×100 relay team of juniors Genaya Johnson and Danielle Leaks and sophomores Nikki Scherer and Jaylyn Aminu won with a time of 45.59. The Panthers also swept the top three in the men’s 400-meter hurdles, with first-year Crockett Schooler taking first, followed by sophomore Seth Spino then senior Kenneth Brosier. The Panthers will next travel to Knoxville, Tennessee, to compete in the Tennessee Relays competition on Thursday. The women’s tennis team remained winless in conference play after 5-2 losses at Syracuse on Friday and Boston College on Sunday. The Panthers got off to a promising start in Friday’s doubles competition, with the tandem of senior Gabriela Rezende and sophomore Claudia Bartolome cruising to a 6-2 match win. The duo of senior Natsumi Okamoto and first-year Mariona Perez Noguera also tacked on a 6-4 victory. In singles competition, however, the Panthers lost five of six matchups, with the lone win coming courtesy of Rezende’s opponent forfeiting. With that, the Panthers fell 5-2. Pitt only earned one doubles victory at Boston College Sunday, as senior Clara Lucas and sophomore Camila Moreno defeated the opposing duo 6-3. Moreno continued her success in singles competition, defeating junior Elene Tsokilauri 6-4 and 6-3. 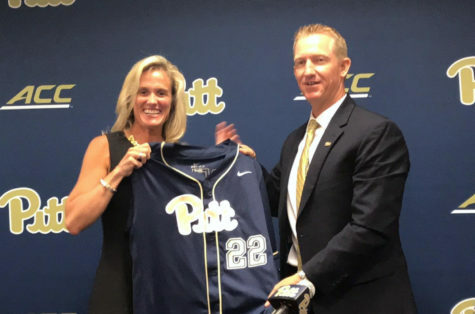 Pitt hopes to notch its first conference win and improve upon its 4-15 overall record when the team takes on Clemson on the road April 12 at 2:30 p.m. The baseball team also saw no success this weekend, dropping all three games to Duke at Durham Bulls Athletic Park, including one scoreless bout on Saturday that gave the Panthers their first shutout of the season. In a doubleheader Saturday, the action started out slow. The first game was scoreless into the third, when the Blue Devils notched an RBI single. The action calmed down again until three innings later, when Duke scored off a triple to win the contest 2-0. 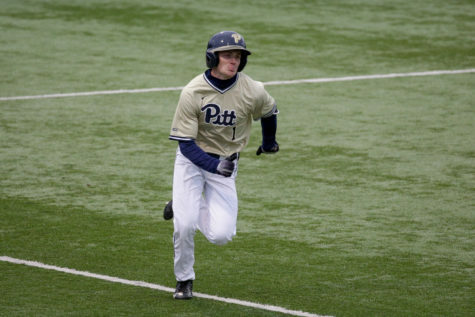 Pitt played more competitively later in the day, scoring all five of its points in the fifth inning. But that effort wasn’t enough, as Duke took the lead in the eighth to close out the the game, 6-5. 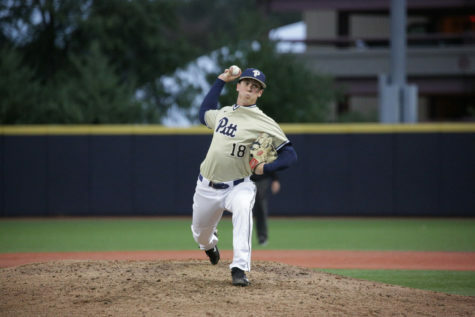 In a high-scoring affair Sunday, Pitt managed to snag the first lead of the game, earning two runs in the third, but the Blue Devils answered with two big innings of their own, making the game 7-2. Pitt managed to chip away at the deficit, but as Duke earned some straggler runs late in the game, the Panthers couldn’t get a win on the weekend, losing 10-9. The team stays on the road this week, taking on Penn State in University Park Wednesday at 6:30 p.m. The softball team fared better than its baseball counterpart at the Mizzou Tournament in Columbia, Missouri, over the weekend, dropping two games to Oregon but stealing one of two matches with Missouri. Still, Pitt allowed 26 runs combined while only answering with 11 of its own. 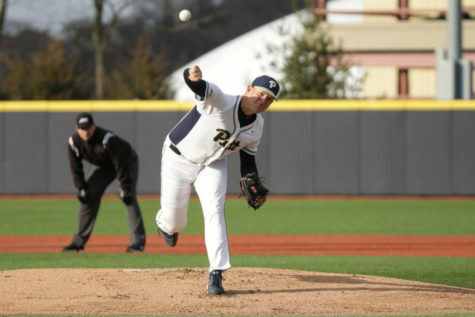 Pitt started off strong Friday against Missouri, jumping out to a two-run lead in the second inning. But it was all downhill from there, as starting first-year pitcher Abby Edwards allowed six earned runs and Panthers fell to the Tigers 9-2. In Saturday’s game against Oregon, the Panthers only fought through to the sixth inning, when the Ducks scored their ninth run to take an eight-point lead, earning a mercy-rule win 9-1. 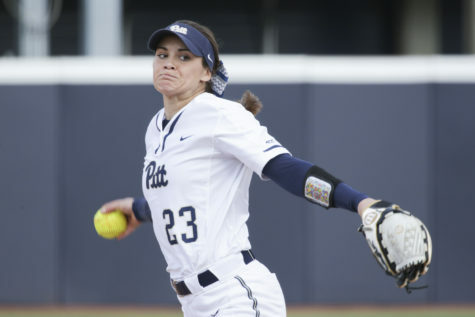 The second half of the day’s doubleheader saw some success for Pitt, as the team tried to fight back, and ended up scoring a tight win over Missouri, 5-4. 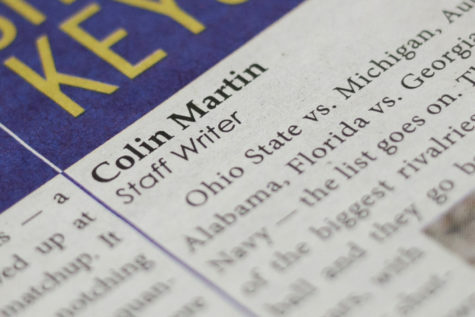 But the Panthers couldn’t continue that momentum into their final contest, and dropped another game to Oregon. 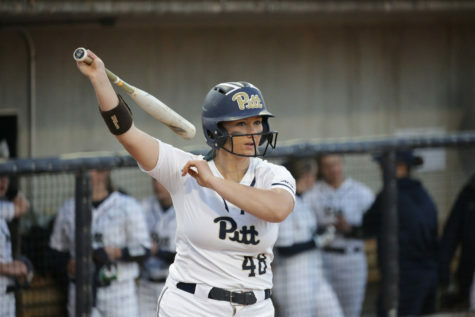 Pitt tried to rally from being down 4-3 in the seventh inning with a two-run homer from senior Olivia Gray, but couldn’t capitalize and ended the day falling 4-3. The Panthers return to action April 9 at 2 p.m. in an away contest against Saint Francis University. While the team competition ended for the Panthers in March, senior Brittany West had the opportunity to represent Pitt at the NCAA Regional Championship Friday at Georgia’s Stegeman Coliseum as a beam specialist. She scored a 9.750 to earn 19th place out of 27 competitors in the event. The meet caps off an outstanding final season for West, whose career-high score of 9.875 earlier in the year earned her a spot on the All-East Atlantic Gymnastics League First Team, ranking her as one of the top-16 event specialists.